Do not be scared! I assure you that there is nothing to be scared off. ‘Monster Tab’… a gigantic monster of fairy-tales with red horns and deadly roars. No… not that monster. 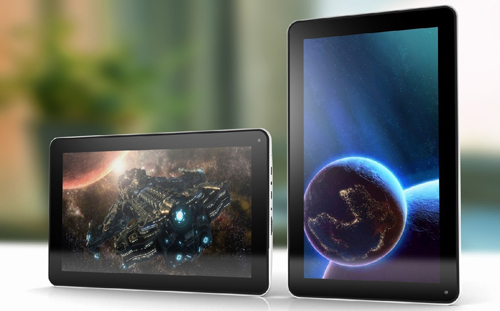 It is again a tablet from Swipe that holds to be a synonym of innovation in tab market. The tab seriously suffices its name in performance but not in appearance. By appearance I mean that it’s not gigantic or heavy weight slate that someday will become a nightmare for you. NO… It is a slate that you can count on. Swipe has always delivered at par to the standards of innovativeness and quality that it has always discussed in its vision. It is the company that scintillates every time it touches the tab market. And Monster Tab is its new panache. This 9 inch monster has 5 point Multitouch capacitive touch screen that transform the touch into a sensual expedition. Monster tab runs on Android 4.0 (Ice Cream Sandwich) OS and supports 1.5 GHz of processor, a reliable combo and support for appreciable performance. It is built around 512 GB of RAM (okish). It encloses front facing camera of 2.0 MP. (So just… click, click, click). The flash memory rating is up to 8 GB and is expandable up to 32 GB (store more!!!) I mean plenty of storage to engrave all your data, info and apps. It supports Wi-Fi and 3G in connectivity class. The package runs on 5400 mAh of battery. At a price of Rs. 6999/- , go and tame the monster!!! !